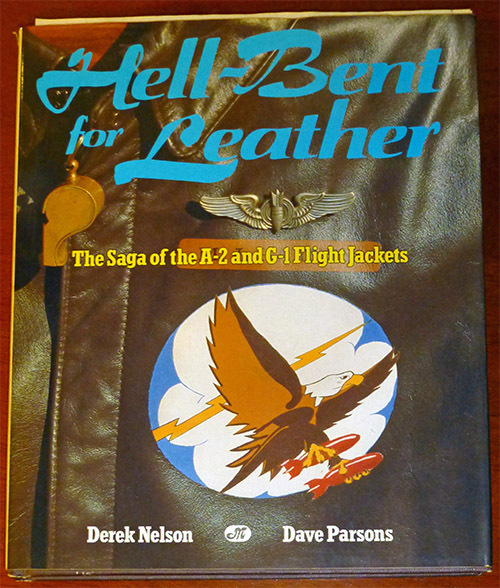 I was poking around the web looking at flight jacket artwork last night and was somewhat startled when I bumped into a photo of one of my paintings that I had nearly – okay, maybe fully – forgotten was used for the frontispiece of Hell Bent for Leather by Nelson and Parsons many years ago. I of course remember that the cover of the book featured one of my paintings, but the other paintings of mine that are inside the book tend to fade into the background of my mind. The name is a reference to Rosie the Riveter, of course. 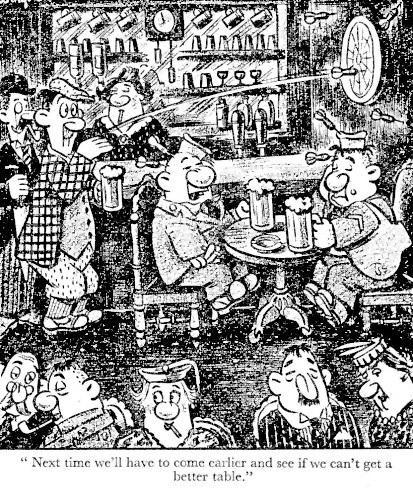 Many jacket artists in WWII just couldn’t capture faces well, but this artist certainly could. 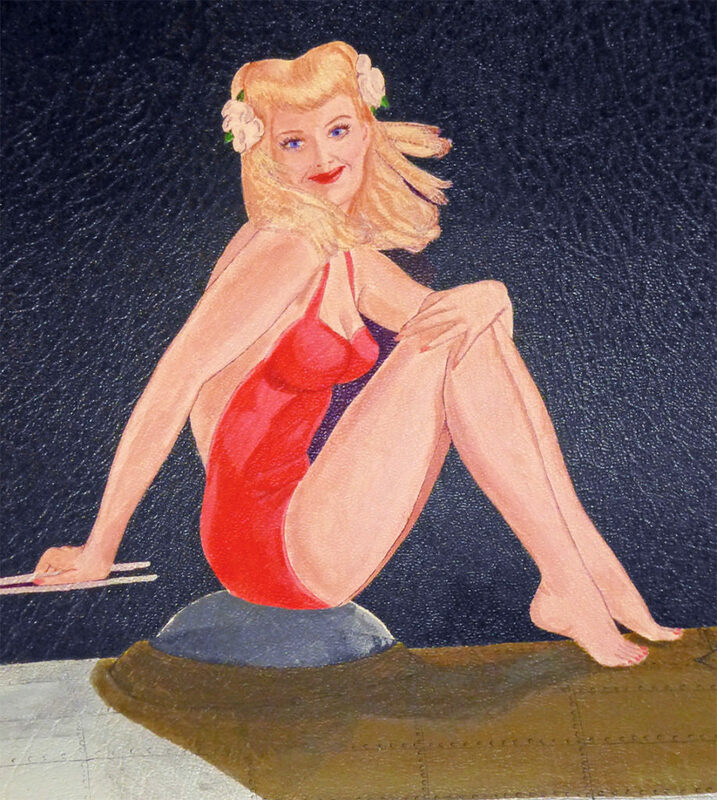 I love the care that went into this painting – again, you can click to see the detail – and note that it’s from the 401st Bomb Group based in Deenethorpe, Northamptonshire, the group that had the finest jacket paintings in WWII. 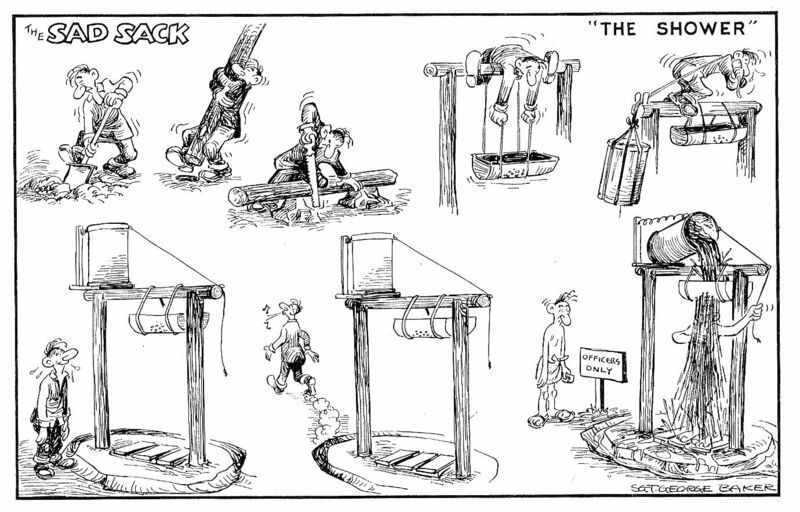 However, the story behind the aircraft is a sad one indeed. 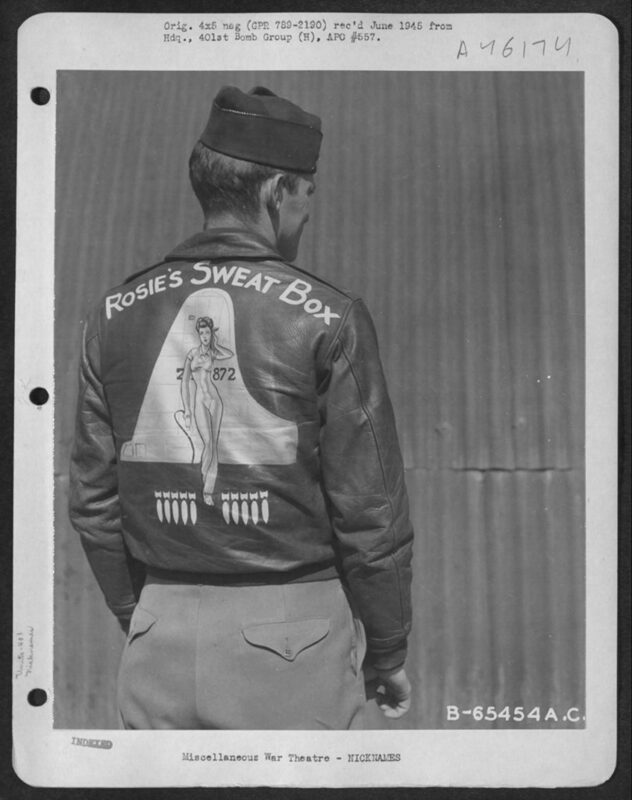 The entire crew of the B-17 Rosie’s Sweat Box died in a takeoff accident at Deenethorpe exactly 70 years ago this past Wednesday. 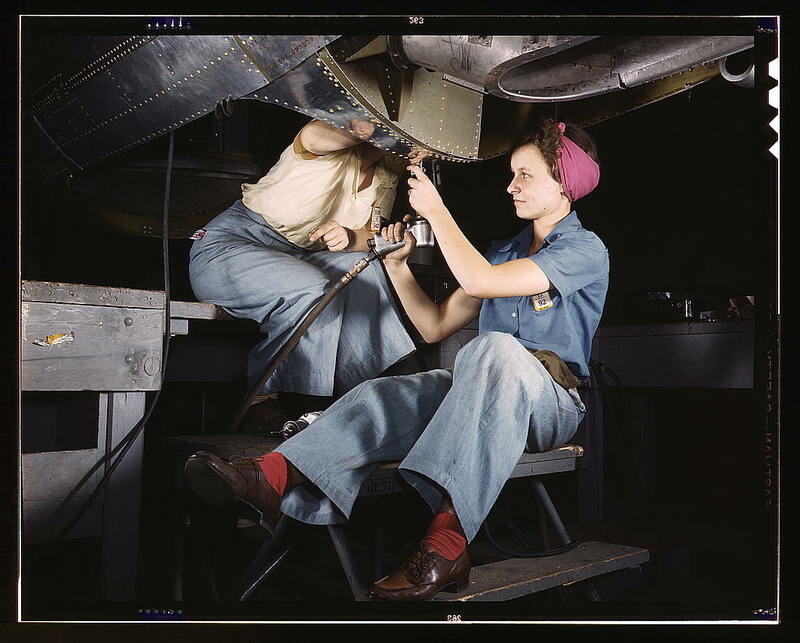 Riveting crew work on a B-17 at Douglas Aircraft, Long Beach, 1942. Douglas and Vega joined Boeing in building B-17s during the war. 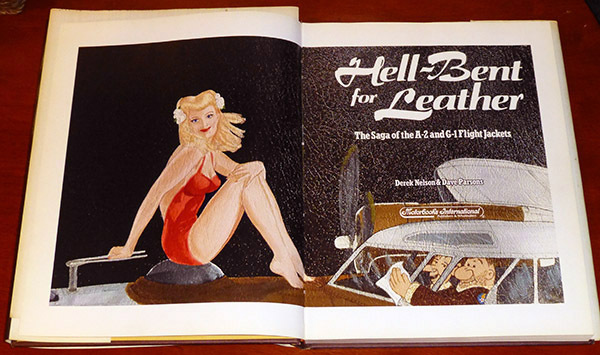 This entry was posted in Artwork, Aviation and tagged 401st Bomb Group, Alberto Vargas, Boeing B-17, Esquire, flight jacket artwork, Hubert, painting, pin-up, Rosie's Sweat Box, Sad Sack, Stars and Stripes, Yank. Hey, Jon! Long time no see. I may regret asking, but has that painting lasted well?